MIY Bistro - Make It Yourself, No:4, APM Mall, 100 Feet Anand Nagar Road, Prahlad Nagar, Ahmedabad, India 380015. Here’s to a fun Sunday evening at MIY. 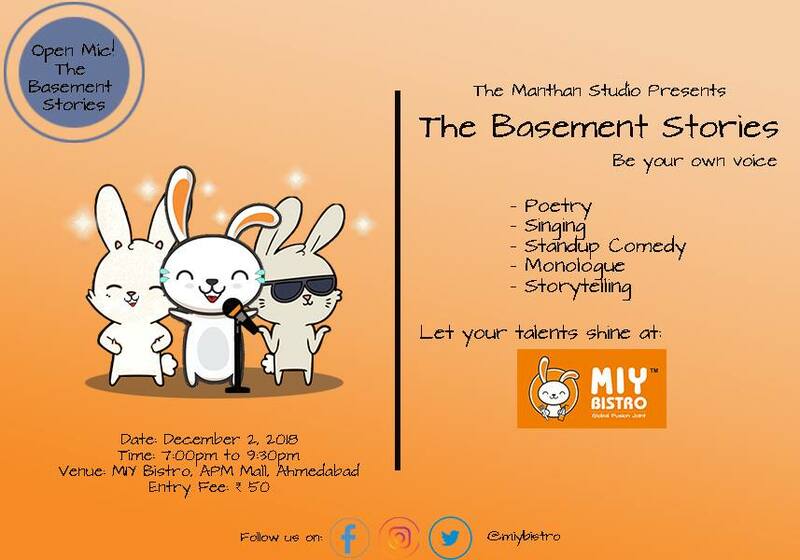 This open mic event is for everyone who is looking out to have a good time with great food and for those who want to share their talent with the rest of the world! So mark your calendars, it’s going to be a fun evening.